Finding a transmission with unparalleled performance and reliability comes down to technology and experience. 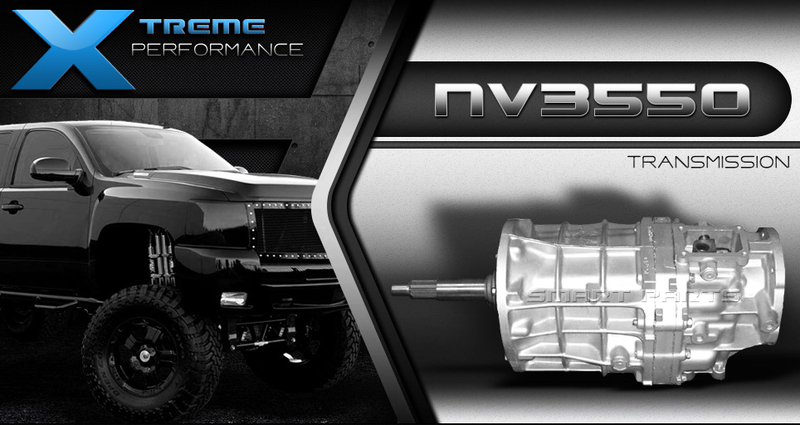 Our NV3550 transmissions are certain to provide you with both. Every performance built NV3550 has been remanufactured at our state of the art facility using the latest advancements in aftermarket technology. We have carefully engineered a process that allows a Jeep NV3550 rebuild to maximize performance and durability while staying within a wholesale price range. 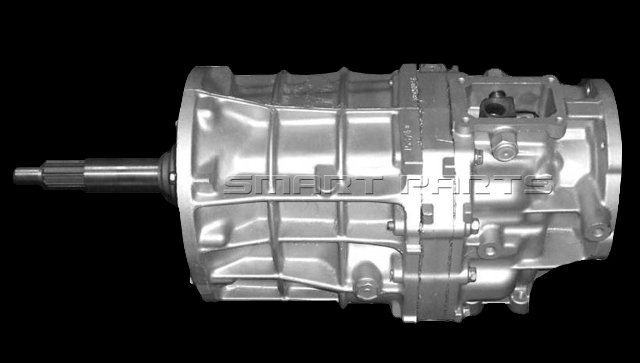 When buying an NV3550 transmission from Smart Parts Automotive you can rest assured that you will get the same quality and workmanship that has made us an industry leader in the rebuilt auto parts market. Wether your replacing a broken unit or doing a custom upgrade, you want to make sure that your hard earned money buys you a product that has been built by a team of transmission experts. This NV3550 is a direct replacement for Wrangler, Cherokee, and Liberty Jeeps with a 5 speed manual transmission. Or you may consider upgrading your current vehicles AX15 transmission with this replacement. Our site contains detailed application information allowing you to ensure an exact fit for your vehicle. Is the NV3550 a better choice than the AX15? In the year 2000 Jeep started installing the New Venture 3550 in its TJ and Cherokee models. The implementation of this transmission was thought to be a vast improvement from its predecessor the AX15. These two units are very similar, in fact they are so similar that an AX15 can be replaced by a NV3550 with very minute modifications as long as the AX15 is from a Wrangler or Cherokee that is 1994 and up. There has been some debate as to how much of an improvement the NV3550 is over the AX15 and hopefully we can shed a little of light on this question. With all opinions aside the two things that I can factually tell you is that the 3550 is manufactured by New Venture Gear, formerly known as New Process Gear. New Venture has been more successful in producing lasting American transmissions in the medium to heavy duty range. Asin Warner is a Japanese based company who created the AX15 has some success with earlier Jeeps but a lot of their focus is on foreign powertrain markets. The second thing that sets these transmissions apart is their torque rating the NV-3550 is rated at 300 ft-lbs and The AX15 comes in at around 275 ft-lbs. This is not a staggering difference but it may be an important factor when it comes to upgrading your jeep to this transmission. This is a completely remanufactured transmission that had been upgraded to correct certain factory flaws witch over time tend to be the main cause of it breaking down. The OEM NV3550 has a problem with hard shifting and jumping out of first and second gear. We have implemented a process of using a shift rail upgrade kit to virtually eliminate these flaws. After our upgrade process every transmission is Downstater to ensure flawless performance out of the box. Every manual NV3550 has been run on a state of the art Dyno. A Dyno simulates the conditions encountered by a transmission during every day and extreme use. This ensures that when your part arrives, it will have been rigorously tested for noises, leaks, vibrations and performance. Any part that does not meet our strict guidelines will be completely disassembled and gone through until our quality requirements have been restored. It can be hard to find good NV3550 parts and rebuild kits, so leave it to the pro's. We buy top of the line remanufacturing materials in bulk. Purchasing large quantities allows us to spend much less giving us the ability to pass the savings down to our customers. OEM stands for Original Equipment Manufacturer. Our parts meet or exceed the guidelines set forth by the manufacturer. Every remanufactured NV3550 transmission has been built and inspected by a certified re builder. Our technicians have an average experience of 10 years or more. In order to preserve consistency and ensure your unit has been worked on by an expert, we assign every one of our workers with a specific model to specialize in. Wearable parts are replaced, this includes: seals, bearings, synchronizers, rings, bushings, bands, gaskets, keys, and much more. The final process before shipment is a complete inspection of the entire unit from top to bottom. If something is found during our inspection process, you can rest assured that your remanufactured NV3550 will not ship out until even the smallest of inconsistencies are addressed. In order to keep our NV3550 Transmission at such an unbelievably low price, we need to take a deposit on your old or broken unit being sent back to us. The core deposit is added to your total then is completely refunded when it unit arrives at our facility. Because we use so many new parts, our rebuild process doesn't require a perfect core to be sent back. Please call or click on the tab for acceptable core conditions and details.